Rosina brings a wealth of leadership skills to the table, with vast experience in Advocacy and empowering Ghanaian women in Health and Legal issues across the nation. She is a member of the Coalition of NGOs in Health of the Central Regional Branch and has also contested as a member of Parliament Aspirant for Assin Central. Rosina graduated from Kwame Nkrumah University of Science and Technology, Kumasi. Rosina has also received diplomas overseas in Cambridge International College in London, England. 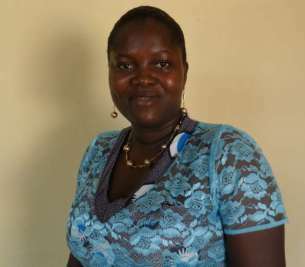 In 2009 Rosina started as the Executive Director of the Dolly Foundation, Assin Foso in the Central Region. Rosina has certificates for a HIV/AIDS programme and for a Legal Literacy Volunteer course named Women in Law and Development of Africa (WILDAF Ghana) She is also contributing as a Coordinator In the Girls and Women Programmes for African Views, and Global Alliance Development Foudation (GADeF). Rosina furthermore has expanded her professional experience as regional reporter for the Youth Climate Report. Rosina has attended numerous conferences and training events in Ghana including a 3-month youth workers programme on HIV/AIDS Stigma Reduction through Education and a breast screening exercise for 1550 women to reduce maternal mortality. Rosina has also been a speaker at a summit by Youth Empowerment Synergy (YES Ghana). She organized World Women Day on a radio programme regarding Equal Access to Education, Training and Science and Technology: Pathway to decent work for Women. Her selfless dedication to the empowerment of youth and women doesn’t end there, she is additionally a member of peer reviewers for the drafting of the YOUTH MANIFESTO in Ghana.